» What Is Inboxpays Surveys About? A Legitimate Site To Make Extra Cash? What Is Inboxpays Surveys About? A Legitimate Site To Make Extra Cash? There are many survey sites out there at the moment that claim to pay out and thus number rises all the time with new opportunities brought to the surface. While you will find legitimate sites that will help you make some extra cash not all sites are as good as they make out to be. In this post I'll be checking out and bringing you a review of a survey site called Inboxpays so I can advise you whether or not this one will be worth your time and effort. What Is Inboxpays Surveys About? Onto the background of the site, they are owned by a marketing company called A&A Marketing Inc.
Like the majority of legitimate survey sites it doesn't cost anything to sign and be a member of Inboxpays. While it is free there's something odd and different about this one's sign up process. This is because there are a lot of steps involved so becoming a member isn't as quick and easy as you would expect it to be. Firstly you will need to complete a sign up box which requires details such as name, email address, gender, etc. However once you've submitted those details there are then loads of questions mostly rubbish thrown at you. Like being entered into draws, changing gas suppliers, etc. This is fairly time consuming however you do get a sign up bonus once completed. if your interested in signing up you must be residing in the US to be eligible. Now with that said let me explain how you can go about earning money with them. How Do You Start Making Money? I would say Inboxpays is more a GPT site than a survey site as while you can complete surveys there are other ways to make money. Some of which pay well and some that pay rather less but I'll talk about each of them now. Get Paid for Reading Emails - As simple as it sounds you can get paid just to read emails, However these pay quite low where its probably just not worth it they do though pay anywhere between 2 to 25 cents. I guess if you complete a few emails at $0.25 you could make an easy dollar. Spin The Wheel - This is a game where go get free spins to win different sums of money including the 'big' prize. You also get awarded more spins for each offer you complete. Completing Offers - Now as you have probably figured completing offers is another way to make money. Now if you don't know what offers are there basically things you get paid for if you complete an action. So let's say one of the offers available is to 'search for hotels at ...' you would be paid for doing that. Now not all offers are free, as there are also paid offers which means you will get paid for doing something that involves inputting your bank details or doing some kind of trial. These generally pay really well compared to normal offers. What Rewards Are Available To Y​ou? Now onto the payments which can be requested once the threshold of $50 as been met. I was wondering why a $5 bonus was given when you sign up but it seems it's given because the minimum withdrawal is so high. For when you will get paid is on two dates, the 1st and the 15th. So if you have the funds you will be able to receive your funds between 1-14 days. These GPT Sites Offer Both MORE Opportunities To Make Money + Faster Payouts! What Are The Cons With Inboxpays? As with all things there are complaints and inboxpays is no stranger to them. The main 2 complaints that I found in most of the reviews were that offer's weren't crediting and the second one being that they are not paying out. These complaints are sensitive subjects in the online world of freelance as there's nothing worse then people doing things and not being paid out when they should of been. Anyway while there are a fair few complaints where Inboxpays hasn't paid out they do eventually pay out but for many members it's taken many submitted tickets and emails to see any sign of money. I would never recommend any GPT sites that have a record of not paying out as there's just no guarantee you will receive your earnings. Unfortunately the complaints and the fact that there's no guarantee that you will receive your earnings really does put me of using this site and stops me from recommending them. To add to that the high threshold of $50 is going to leave you grinding out loads of surveys before seeing any money. Sure, the $5 sign up bonus is kinda cool but making the rest of the $45 is going to be long especially with the issues with not all offers crediting. 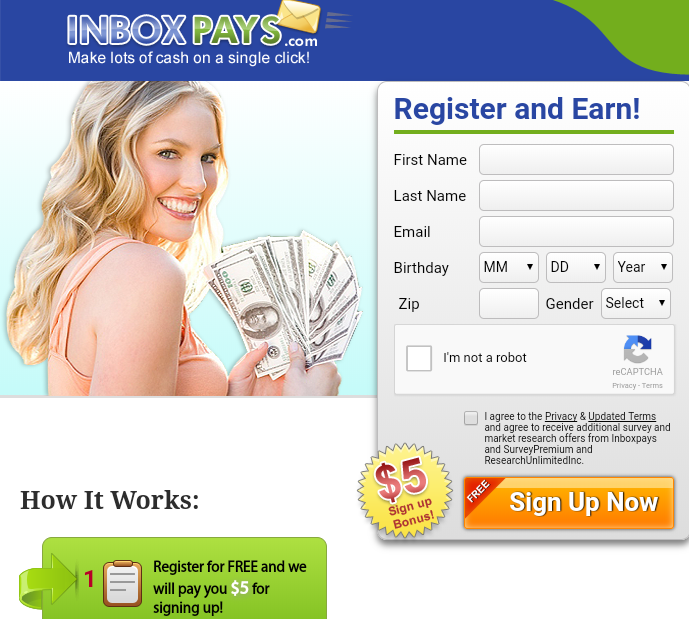 In short I wouldn't recommend Inboxpays as there are much better survey and GPT sites out there that will pay out. Is GetPaidToTry Surveys A Scam Or Genuine Way To Make Cash? Univox Community Surveys Review (2019) – Get Paid To Do Surveys? Is Clout Cash Club A Scam Or Make $350+ Per Day? Product Tube App Review – Earn Up -To $80 A Survey? Previous Post Is Panda Research Legit? – If So Are They Worth Your Time And Effort? Next Post Is BigSpot.com Legit – A Genuine Opportunity To Make Money?